As you know, today (in fact, right now) was supposed to be a free Telerik Reporting Webinar. But you've probably noticed that there is no webinar to be found. Fret not, you did not miss the event. Unfortunately, today's speaker became seriously ill shortly before the scheduled start time of this webinar, so we have decided to postpone the event by a few days. We are very sorry that this last minute change had to be made, but I'm sure you'll agree you'd rather have a great webinar with a healthy speaker than a weak webinar with a sick speaker. The event is already very popular with well over 700 people registered to attend, so we don't want to make you wait long to get this content. 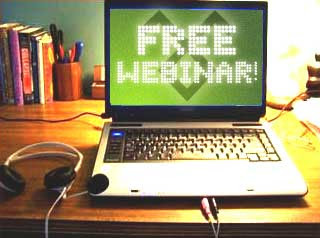 The new time for this webinar will be this Tuesday, February 3rd at 11:00 AM EST. If you've already registered, you should be getting an update email with the webinar details, too. Update your calendars and join us next week. And in the mean time, join me in wishing Kevin a speedy recovery! Welcome back to the ongoing Optimization Tips series. It's been a while since the last installment, so it's high-time we took a look at more tips and tricks for optimizing your Telerik-powered web applications. In this the seventh article in this series, we'll take a look at Telerik's brand new RadCompression HttpModule and try to gain a deep understanding of how this tool can help improve application performance. Some of the concepts in this article build on things we've discussed in previous installments, so I encourage you to read the earlier articles before reading this if you have not already done so. Let's get started. RadCompression is not designed to be a complete replacement for other HTTP compression tools, such as the built-in HTTP Compression in IIS 7. Instead, it is designed to work with those existing tools to cover scenarios they usually miss- namely the compression of bits moving back and forth in AJAX (and now Silverlight) applications. If you have HTTP Compression enabled in IIS7, you'll discover that it does not compress your AJAX and Web Service responses; it only compresses the initial bits sent to the browser when the page is requested. By adding RadCompression to your project, you cover those gaps and start compressing your XHR (XmlHttpRequest - i.e. the "X" in AJAX). These types generally reflect the content types returned by AJAX Web Services, ADO.NET Data Services, and AJAX UpdatePanel responses, though there certainly are other scenarios that return these content types (such as a typical RSS feed). If a browser supports compression (and most modern browsers do), and RadCompression is enabled, all content of this type will be compressed. The one exception is IE6, which does not well support this compression, so RadCompression will automatically ignore requests coming from IE6 clients. HOW DO YOU ENABLE RADCOMPRESSION? With that single line of configuration (or two lines if you're using IIS7 Integrated Pipeline), RadCompression is ready to work. You don't need to make any additional code or configuration changes. The compression module will automatically look for content that matches the conditions mentioned above and compress it. Remember that HttpModules, unlike HttpHandlers, touch every request processed by ASP.NET, so you don't have to do anything to your pages or services to make the compression work. All compression is handled by the module. All decompression is handled by the browser. UpdatePanel Updates: In this scenario, there is a page with a RadGrid, bound server-side during the NeedsDataSource RadGrid event, with a RadAjaxManager on the page to "ajaxify" all Grid operations. Client-binding Updates: In this scenario, there is a page with a RadGrid that is declaratively bound to a ADO.NET Data Service (which, for the unfamiliar, is essentially a fancy WCF web service). The RadGrid fetches data via the service and initializes in the browser and uses the web service for all operations, such as paging. This chart reveals some interesting facts. First, we see that choosing to use UpdatePanels (and server-side binding) or client-side binding does not significantly initial page load size. In fact, it takes a few more bytes to start with client-side binding (though we see when the RadManagers are used those bytes compress better). The real benefit of the client-side binding is revealed in the RadGrid paging operations, where the bytes received are reduced by 62% (on average). When we add the RadCompression HttpModule, we see improvement in both scenarios paging scenarios. With UpdatePanels and "traditional" AJAX, bytes sent over the wire are reduced by about 68% with RadCompression enabled, and by about 86% with client-side binding. So right away we see that RadCompression has a significant impact on reducing traffic for async operations like paging in RadGrid. The load time results can be a bit confusing at first. They are not nearly as dramatic as the reduction in bytes received, so you have to look close to understand what's happening. First of all, we can see that all operations- including the initial page load- are happening in less than one second. In fact, all of the paging operations are happening in about 1/10 of one second! That means the localhost environment makes it hard to see the impact of the compressed bytes on page load time while paging a RadGrid. You can see, of course, that the RadManagers help reduce the initial page load time by about 25%, but the RadCompression module has a negligible impact on the RadGrid paging load time. The take away: for sites deployed to a local network (i.e. intranet sites), you really don't need to worry about performance optimizations at the level RadCompression provides. The latency is low enough and the bandwidth high-enough that you won't see a significant impact on page load performance. For remote sites, though, the delta between load time with and without RadCompression should be much more obvious (thanks to the time required to transfer 75% more bytes over the wire). RadCompression is an easy way to reduce the bytes sent over the wire for XHR operations. Hopefully you'll enjoy this new tool in your Telerik toolbox. Whether you use them or not, Telerik is working hard to give you all of the tools you need to optimize your websites with very little work. When combined correctly for the right sites, we believe we can enable you to not only to build sites quickly, but with measurable top performance. If you're a web developer (and I know many of you reading this blog are), now's the time to download the latest version of Internet Explorer and begin seriously testing your sites. 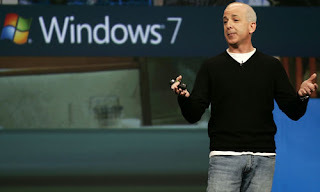 This week Microsoft released the first IE 8 RC build, which really is the last step before the big RTW (release to web) that makes IE 7's successor official. The new build of IE8 is supposed to be more stable and better performing than the betas, and it's also (according to the IE Team) "effectively complete and done." That means what you see today should pretty much be what you see when IE 8 starts shipping to the masses, so any problems your web sites exhibit need to be fixed (or made compatible via the handy IE8 Compatibility Meta Tag). Telerik is already busy running all test suites against IE8 RC1 and we plan to have full support for the browser when it ships. We have, of course, been testing and working with IE8 since the early previews, so you can already find broad support for IE8 in the current RadControl bits. Expect all lingering problems to be addressed in-time for the RTW. For those of you already working with Telerik's cool new OpenAccess ORM tool, there is a new service pack that dropped today that you definitely want to check out. The service pack- officially dubbed Q3 2008 SP3 (or 2008.03.1327.2 by the version number)- packs tons of fixes and improvements in to both the OpenAccess run-time and design-time experience. Among my favorite improvements is the new support for the LINQ Count method, which now allows you use .Count in your LINQ queries and have it it executed on the database server for optimum performance. For a complete run-down on what's fixed, check out the official release notes. For those of you not using OpenAccess ORM, what are you waiting for? I recently built the entire Telerik TV portal using OpenAccess ORM Forward Mapping, and speaking as a developer, the experience was great. It saved me a ton of time (and code), and made it very easy to build a complex site in my spare time in a matter of days. If you're using LinqToSql today and want something that gives you that same "quick start" experience, but then also has the power to perform when you need to take more control, give OpenAccess a try. With a free version for free databases, what do you have to lose? I just finished bundling two releases in one blog post, so I suppose it's not a crime to bundle two event notices, too. Right? Either way, there are a couple of opportunities coming-up where you can join the .NET community and Telerik for some good times and learning, so let me share the details. First-up, the Houston TechFest, which happens tomorrow, Saturday, January 24th. Originally scheduled for September, the event was rescheduled due to Hurricane Ike, which you may recall hit the Houston area about four months ago. All systems are go for tomorrow, though, and there are no hurricanes on the horizon. So come on down to the University of Houston for some .NET learnin'. 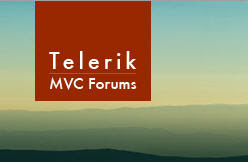 I'll be delivering two sessions (one on Silverlight, one on ASPNET AJAX) and staffing a Telerik "micro booth" all day. Then on Monday, January 26th, for those of you in the Dallas area, come on out to the Dallas MSDN Developer Conference (a.k.a. MDC Dallas). I'll be making the trek back to Dallas to repeat the talk I did at MDC Houston on Silverlight business apps, and many other great speakers from the .NET community will be delivering PDC-based talks, too. The event is just $99, so register this weekend and come out to the Dallas Galleria Westin on Monday. It'll be a busy weekend, and hopefully I'll see a few of you around these events. If you're there, be sure to stop by my sessions or booth and say 'hi.' For everyone else, watch for some follow-ups next week. I don't usually "bundle" news items in to a single post, but since it's Friday and I have a couple of releases to announce, I'll make an exception. First, early this week Telerik released the second service pack for the Q3 2008 RadControls for WinForms. This SP addresses a number of issues across the entire suite, but you can find some highlights in WinForms Evangelist John Kellar's blog post. If you're using the RadGridView for WinForms, this release does a lot to improve the memory management and resource footprint of that control, so it's probably worth your time to download the latest bits. Full release notes, of course, are available online. Even though this release is only a "minor" version tick, it's got enough improvements to warrant major version status. Sitefinity continues to be one of the easiest "CMS" (or, from the developer perspective, "development platforms") for ASP.NET developers to learn and extend since it does not "break" (or modify) ASP.NET the way many other CMS systems do. If you haven't checked it out yet, grab a free copy of the community edition (which you can use for commercial projects) and have fun! I just got back from the We Are Microsoft Charity Challenge Weekend- or WAM Weekend for short- and I'm happy to report it was a huge success! There were almost 20 teams of developers building sites for charities in the Dallas area, and it was great to see everyone work so hard over the weekend to produce some incredible sites. Many of the teams used Telerik's Sitefinity CMS to give their charities even more functionality and to save a ton of development time, and based on the training Gabe Sumner and I did on Saturday, the charities are very impressed! One team also used the Telerik RadControls for Silverlight to add rich gauges to their charity's site. Along the way, Gabe and I sat down with the event's "video bloggers" to talk a bit about the weekend and Telerik's involvement. You can check out the embeded video above or watch the original directly on Facebook. All-in-all, it was a great event for the .NET community that will have a huge impact on the charities that were involved. Hopefully this type of event will spread throughout the .NET community in 2009, giving you the opportunity to use your developer "skills" for a good cause, too. P.S. As soon as I have a full list of the sites built with Sitefinity, I'll post an update on Telerik Watch so you can see the end results of the weekend's work. Telerik has two great products that- when combined- can enable very cool, object-driven reporting. 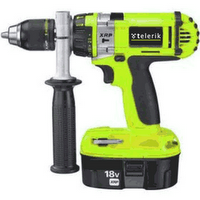 Those products are, of course, Telerik Reporting and Telerik OpenAccess ORM. While the integration between these products is not nearly as "tight" as it's going to be in the future, you can already use these two products together with today's bits and a (very) little bit of code. In this TWM, I show you how to build a simple report that binds directly to an OpenAccess ORM DAL that's been reverse engineered from the AdventureWorks database. This episode is a little longer than nomral (about 12 minutes), but it shows you everything you need to know to get started using these two products together. Enjoy! One of the great things about being at Telerik- and the part of .NET community in general- is the pervasive sprit of charity and the desire to give back to the community at large. As programmers, we may not be able to donate our time to build a house, but we sure are good at building software. The We Are Microsoft (or WAM) Charity Challenge Weekend picks-up on that idea and hosts a 3-day "challenge" where .NET developers join teams to build websites for charities in the Dallas, Texas area. Telerik was a proud sponsor of this event in its inaugural year, and we are again sponsoring this charity event in 2009. But beyond sponsorship, Telerik is also making the Sitefinity CMS platform freely available to volunteer developers to help jumpstart their charity web sites. The ability for these developers to pick-up, learn, and extend Sitefinity during the 72 hour competition is a true testament to Sitefinity's "natural" fit with an ASP.NET developer's skills. To help developers maximize the platform this year, Sitefinity Evangelist Gabe Sumner and I will be traveling to Dallas to help train both the volunteer developers using Sitefinity and the end users from the charities that will be inheriting the site at the end of the competition. If you're in the Dallas area this weekend, stop by and see the charitable side of the .NET community. In fact, if you hurry, I'm sure you can still volunteer to help out. Either way, Telerik is proud to sponsor this event and we look forward to seeing charities benefit from what the volunteer developers can do with Sitefinity! All service packs are helpful, but this one really has a lot of great enhancements (in addition to the requisite fixes) that should make it worth your time to download and check-out. I'm particularly excited about the enhancements in RadInputManager and the new HTTP compression module. With the new web service validation support and required field property, RadInputManager is quickly becoming the fastest and most efficient way to add form input validation to your ASP.NET project. Check out my post on the Telerik Blogs for a deeper look at how easy form validation is with RadInputManager. The compression module is also a cool new tool in the RadControls suite that will give you even more power to optimize your AJAX web applications. You can find a first look at this tool on Vladimir Enchev's blog, but I'll be sure to bring you an in-depth look at it's capabilities and performance impacts soon. Until then, enjoy SP2 and stay tuned for more details on Q1 (which is rapidly approaching). 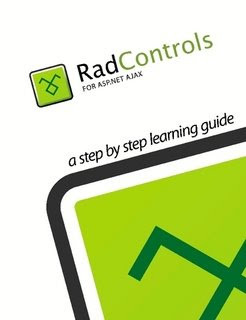 One of the new support resources we launched with our Q3 release in November was the brand new RadControls for ASP.NET AJAX Step By Step Learning Guide. The Learning Guide, written by the RadControl and training experts at Falafel, fills almost 800 pages (!) with everything you need to know to be a productive Telerik developer. In fact, there is so much content that we had to split the book in to two parts: the Step by Step Learning Guide (about 600 pages) and the companion ActiveSkill Guide (about 190 pages). The ActiveSkill Guide shows you how to take the knowledge you've gained in the Learning Guide and apply it to build a complete real world application with the RadControls. Both books are available now for on-demand printing on Lulu.com, but the PDF (as always) is freely available on Telerik.com (along with source code). We make the books available for print for those of you that don't want to burn 800 pages worth of toner. That said, to keep costs down, the Lulu books are in black and white, so if you want hard copies in glorious color, you'll need to print your pages (or tell us you want a full-color Lulu version, and we'll get that set up, too- it'll just cost you about $120). And while you're browsing the new books on Lulu, don't forget that we also have a Telerik Reporting Learning Guide and Step By Step Guide for the old non-ASP.NET AJAX controls, too. Enjoy the reading! These are out of band builds, which means they don't go through the full Telerik QA process. They are plenty stable to use for your active development, but they are not recommended for production environments (unless you're willing to accept the risk of using a build that's not fully QA'd). These are not "beta" builds. These are regular continuous integration builds from our internal "FIXES" code branch. That means they only contain hotfixes for features in the last official release. They do not contain new features, and they are not a vehicle for previewing our work for future Qs. These builds will not be updated daily, but they will be updated regularly. Only the latest build will be available online, so when you visit this tool and to download bits, you're always getting the most up-to-date, patched version of the RadControls that exists. Only the RadControls for ASP.NET AJAX are available through this tool now, but all RadControls and Telerik developer component wills be available here very soon. I'll update you when the other component suites are added. We never like to see bugs in our official releases, but we recognize in a complex software world, sometimes bugs are discovered. Hopefully this tool will make the process of recovering from those errors as painless as possible and put you back on the road to developing great software with the RadControls! New TelerikTV video portal live! It is with great pleasure that I announce that I have been awarded the Microsoft MVP Award for 2009! I don't particularly care to "toot" my own horn, but I would like to thank everyone that helped me achieve this goal. The Microsoft MVP program is probably among the most respected "community MVP" programs in the software world, and I am honored to join the ranks. For those unaware, the Microsoft MVP Award is granted annually and it serves to recognize those people that go above and beyond serving the Microsoft community. It doesn't necessarily recognize the most talented developers in the world (though many great developers are often MVPs)- it is devoted to recognizing technical leadership and community involvement. I've been technically awarded as a "C# MVP," but that doesn't mean I can't relate you VBers out there. Last year's survey (run on this blog) should be proof enough of that. What is does mean is that I will continue working hard to serve the .NET community and make it as easy as possible for people to use .NET to write software. In any event, it's a great way to kick-off 2009 and it's further proof that Telerik is dedicated to being a leader in the .NET community. Happy New Year to everyone and here's to a great 2009!